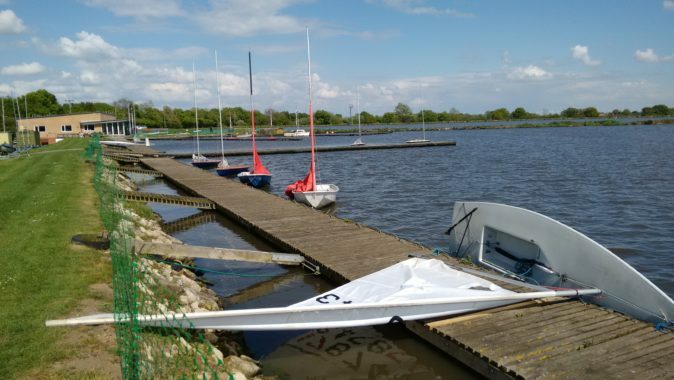 Thinking of starting sailing or windsurfing? 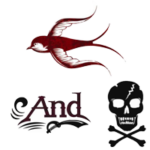 Already sail or windsurf? 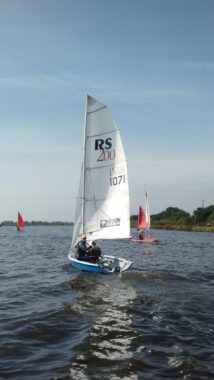 If you sign up for new membership of Beaver Sailing Club between now and 28th February 2018 the fee is reduced by 1/3rd. The fee will be only £143 for ordinary membership (any person 23 or over at 1 March 2017). This would include your partner and any children not yet 23. There’s a one-off joining fee of £40 plus a one-off fee for an entry key. 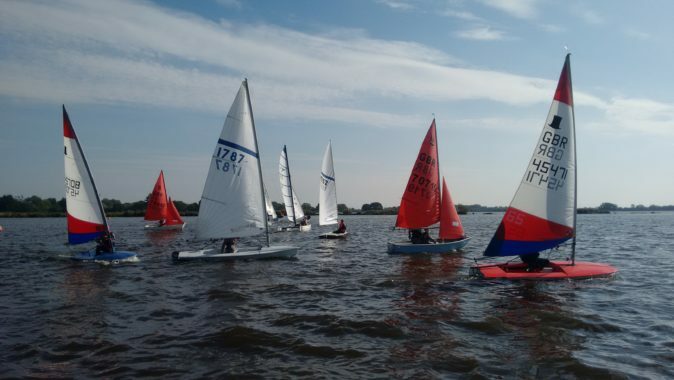 To meet someone face to face and discuss how to get started sailing there are always members present at the Club on Sunday race days from around 10.30/11.00 am. 65 Years of Portsmouth Yardstick -A fair system? 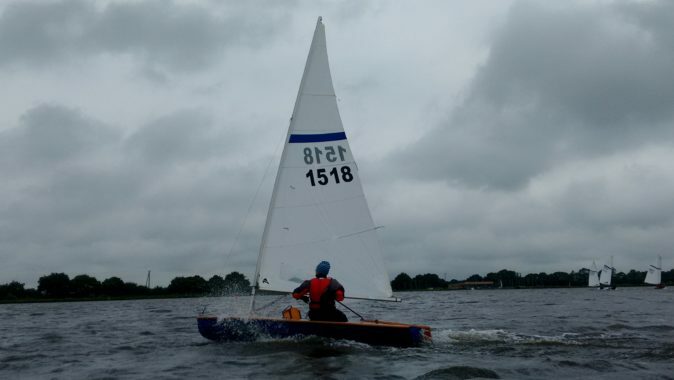 Even in the earliest days of dinghy sailing the keen racers quickly learned that some classes in a mixed race fared better than others over a given course – assuming relatively equal skill of sailor. Why not just compete against your own class? Good point. Perhaps the numbers were not large enough initially to sail by class but whatever the reason Mr Stanley Milledge in 1947, at Langstone Sailing Club, devised a handicap system using a base of 100 and eventually produced a set of tables (Langstone Tables) for clubs to use. Anyone who does race officer duty interested enough, take a look [here]. And you thought the latest formula calculation was difficult! In 1952 Milledge created the Portsmouth Yardstick – a tool for converting elapsed time to corrected time based on a handicap number. In 1960 he handed over administration to the RYA and in 1976 a new format was used. The base number for calculation was 1000 (to accommodate the growing number of classes) so that a fast boat e.g. Dart 15 is set below the baseline at 931 and a Laser, being slower than a Dart, is set at 1097. How much does any of this matter to Beaver sailors? Most of us will not know our PY rating by memory and generally, depending on our boat, we are simply aware that we have to lap other classes or beat them by a certain distance or a number of markers to stand a chance. Other less experienced sailors won’t even be aware of a PY rating and will commonly wait to see the published race results to see where they were placed. On occasion there’s talk of one boat having a favourable handicap. Some sailors will even opt for such boat to ensure they win. The fact is that the same situation may not exist in another club which sails under a differing set of conditions. At Beaver we are an inland lake of relatively undisturbed water with a couple of prevailing wind directions. A shore based sailing club subjected to tides, waves, currents and sea breezes might favour the faster boats. For the PY system to work well it needs feedback data from as many racing clubs as possible to average out the rating across a set of conditions. 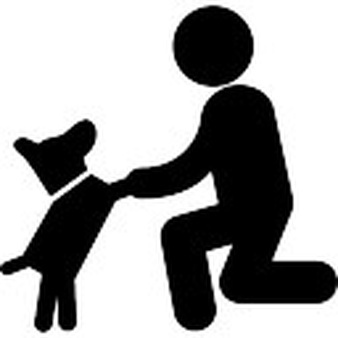 Unfortunately the RYA does not get as many clubs as it would wish making contribution. The outcome can then be dynamically changed or not so, depending on how those few contributing clubs perform. So is the system fair still? Allowance is already made in handicapping for different sail types within class e.g. 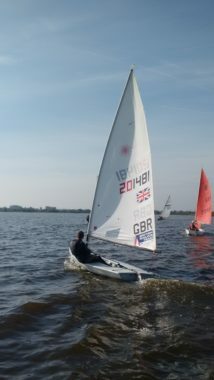 Laser Radial, Streaker wave, Topper 4.2 etc. 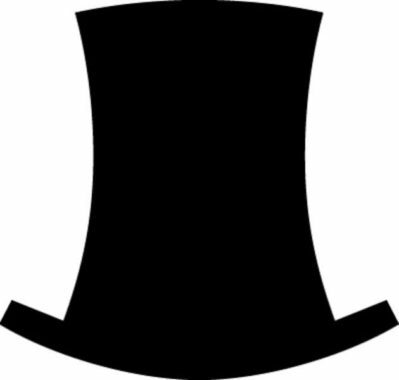 Should it also account for sailor competency so that we each have an individual club handicap? 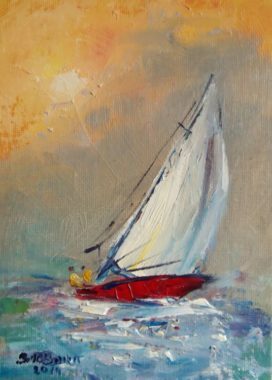 We might feel frustration when we’ve sailed our utmost best only to be placed behind a sailor of a more favoured handicap who we feel is not as competent. After 65 years of use and with so many classes of boat it’s a tried and tested method. Nothing’s ever perfect especially when dealing with so many variables of application (club conditions, sailor competency, data feedback). In the end it only makes us grind our teeth when we participate in handicap racing. When we race in our own class we can only cuss our own mistakes if we do badly and sing our praises when we do well. 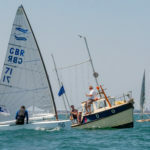 So with PY rating well established most sailors racing handicap will nod to it as being acceptable (but with some boats having a more favourable handicap). Martin Ibbotson, a strong, tall, silent type not known for his excesses and often seen gathering firewood for his log burner, recently made a brave step out of his comfort zone. It could be argued that he moved out of an uncomfortable zone by ending his Streaker sailing days. A tadge over the weight and height limit for that racy little dinghy, Martin was severely disadvantaged in lighter winds. Big boys need big boats and what more appropriate than a Finn. Not exactly sleek in its looks but the boat of choice by international squads, this sturdy hull is capable of high achievement. 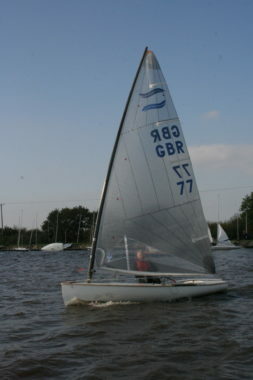 A rare sight at Beaver SC and with its PY rating of 1045 it has to be well managed to win a handicap race. On that note and as if to prove a point just cutting his teeth, Martin indeed won the second handicap race on Sunday 17th. Well sailed Mr Ibbotson. Sorry to see your little wooden Streaker up for sale on the Club’s board but if you keep up the winning results we may find a few others wanting a Finn. Another excellent Sunday racing day with good boat number turnout from the outset. Fantastic sunny weather with a good fairly consistent breeze from the south/south south east. Supported enthusiastically by the seated senior citizen crowd at the Clubhouse. Results downloadable on full page view of this item. Damp autumn grass from overnight showers and bright intermittent sunshine amongst brooding rain-laden clouds set the scene for 2017 Junior Regatta. Early morning winds were breezy but not overpowering. Prospects for the rest of the day were good but with risk of showers. None of this was daunting for the (sixteen) young sailors who turned up to participate. The jetties and front lawn were by 10.30 brimming with sailors and their attendant family members rigging up with spars, sails, foils, boat covers and other paraphenalia littering the launch areas. Alongside supporting family there were a handful of senior club sailors who turned up with mindful anticipation of a gentle Saturday sail. Unlike their junior counterparts they were easily dissuaded from rigging by the menace of approaching darker clouds. Thus began the day and race officer Peter Hone set the course, hailed the competitors and from the comfortable confines of the gently bobbing Committee Boat started the first race. The more experienced sailors took the beat in their stride whilst others grappled with ‘head to wind’ flapping sails. Once around the first buoy all competitors progressed with more ease and motion. The figure of eight course may have seemed a distance to cover for some of these youngsters but they stuck at it and in the end will have been relieved to hear the final hooter. 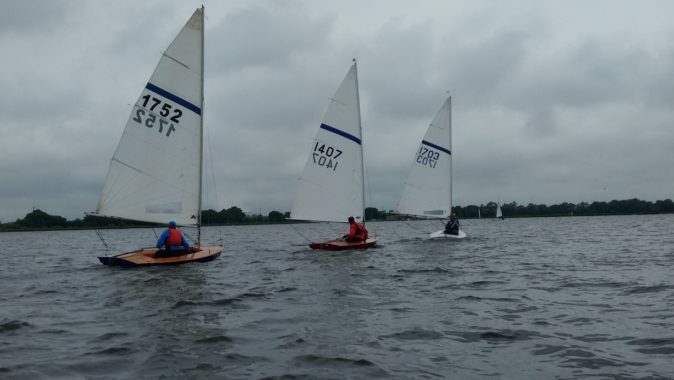 Immediately following was a shorter race for the three brave Optimist sailors. They were not blessed by good weather and rain fell upon them. At least lunch beckoned and gave a chance for stomachs to be filled and for socialising and chat. 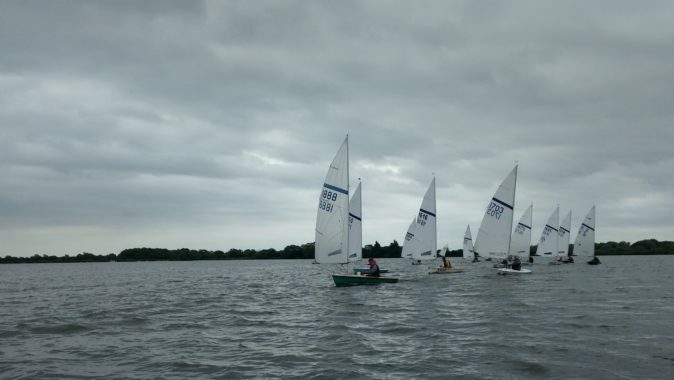 The afternoon’s races faced lighter winds which proved to be a challenge for everyone. 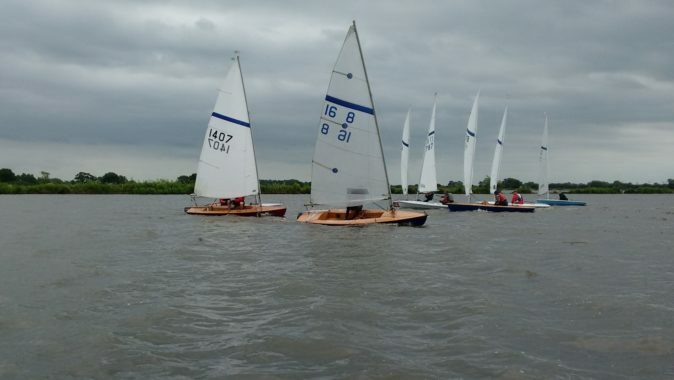 Competition was keen amongst the leading boats and places were being fought for. Anxious and proud parents watched on with the occasional heart flutter as alongside assistance was needed for rigging re-attachment or towing from being grounded. Thanks to Peter and Liz Hone with Bob Towler for race management. 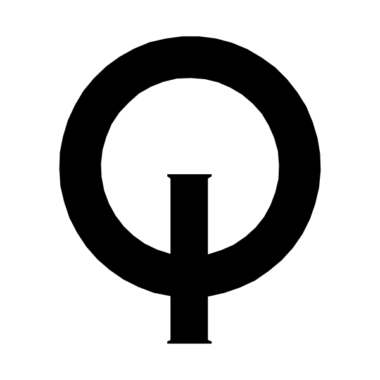 Thanks too to Julie Harris and all those who helped in galley to provide a seamless service. The very first Streaker open event (Northern Paddle Series) on 10th June at Beaver SC was a great success. Eight visitor boats attended alongside eight home boats in very blustery conditions. 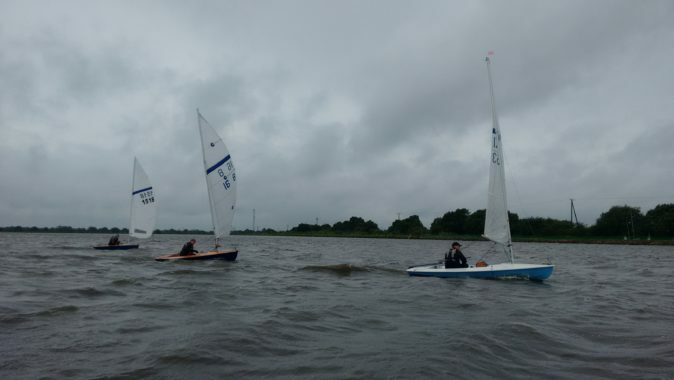 Thankfully the rain held off and sailors enjoyed exercising their muscles and testing their inner core in a variety of wind strengths around a very manageable figure of eight course. Sadly for some the experience extended overboard with a number of capsizes not least on the approaches to the jetties after the races had finished. Thankfully there were warm drinks and food served in the galley to help them recuperate. 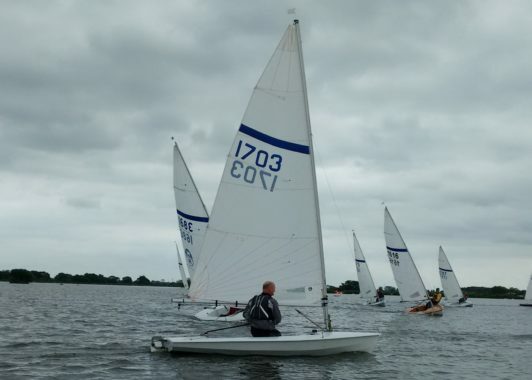 Beaver sailors were in contention with Jon Aldous winning the first race and Martin Penty the second but overall on points and final decision was Ian Priest of Scaling Dam Sailing Club. Congratulations to first three places and thanks and a warm welcome to all who attended. Results sheet here. Thanks also to race officers and support along with galley team. It’s time once again for the nets to go up. Canada and Greylag geese can make a considerable mess of our lawns and banks and the last thing anyone wants is to encounter goose droppings. 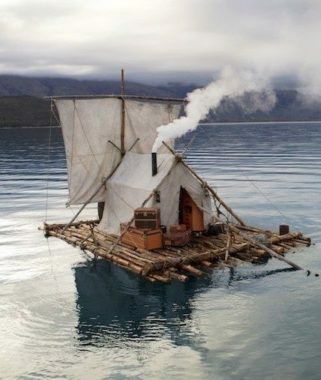 They can make boat rigging or simply walking around a risky business. It’s this time of year when they are the biggest problem when they have their young. They like to come ashore and feast on our delicious clover and grass but unfortunately they forget good toilet habits. Whilst the nets may not look pretty, as you can see they don’t get in the way of sailing activity. Please be tolerant and continue to enjoy Beaver’s lovely facilities. 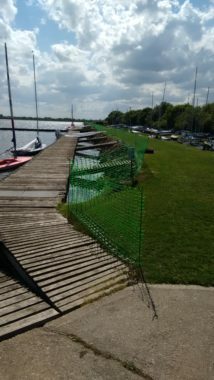 Don’t forget to put the nets back across the jetty ramps once you have finished sailing and taken your boat out of the water. Thank you. 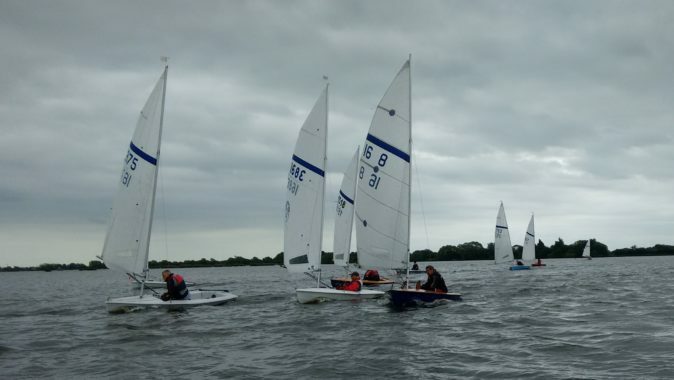 Beaver Spring Regatta – a festival of sailing. Bank Holiday weekend 28th/29th May beckons and heralds the Beaver Spring Regatta. 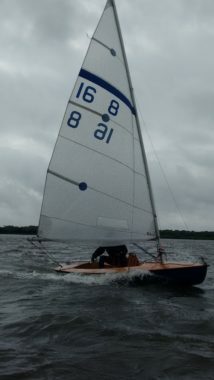 That’s two days of sailing with six handicap races. Race fees are £8 or £5 if you can only attend one day. Camping is encouraged and campervans are welcome too. Race Officer is Peter Hone so be prepared for some really keen rule observation and strict timekeeping. 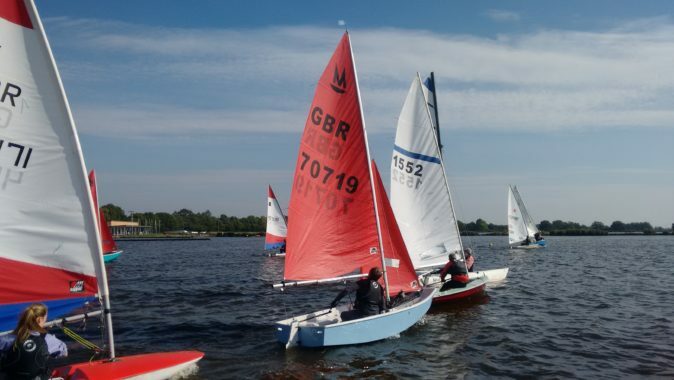 If you don’t want to take part in racing, sail for leisure on the small lake. Try not to anger the fishermen by snagging their lines. 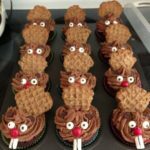 Otherwise have fun and make it a bumper Beaver bank holiday. York University students will defend the county on Saturday at Beaver to continue that unfinished War of the Roses. Warm up will be at 8.00 a.m. There are a host of other events taking place elsewhere https://roseslive.co.uk/timetable . Should be fun.